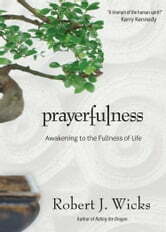 Now in paperback, Prayerfulness,by Robert J. Wicks--therapist, speaker, and bestselling author of Riding the Dragon--examines what it means to live fully in the present moment, with eyes wide open to life and to God. Blending insights from Christian contemplation and Buddhist mindfulness, Robert J. Wicks offers a brilliant guide to cultivating a receptive and reflective attitude to life. A rich array of insights--including seven practical steps, a thirty-day at-home retreat, and a "spiritual mindfulness questionnaire"--helps readers develop a loving, clear, and balanced outlook. 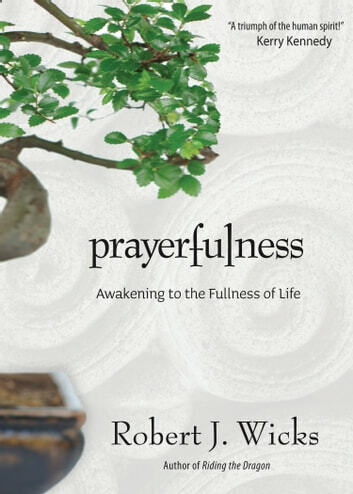 Drawing from classic and contemporary spiritual writing, Wicks explores seven steps to growth in prayerfulness, including creating simple rituals, honoring life's fragility, facing difficulties directly, and befriending anger. Thirty days of reflections, quotations, and questions also guide readers to form or strengthen a practice of daily prayer. A special feature is the innovative spiritual mindfulness questionnaire, a set of thirty open-ended questions that lead to a clearer sense of how present one is to daily life. Filled with practical wisdom and rooted in sound psychological principles, Prayerfulness is a clear and simple manual to living fully in the present moment. 31 Powerful Prayers Of Thanksgiving – Guaranteed To Always Cause You To Triumph!